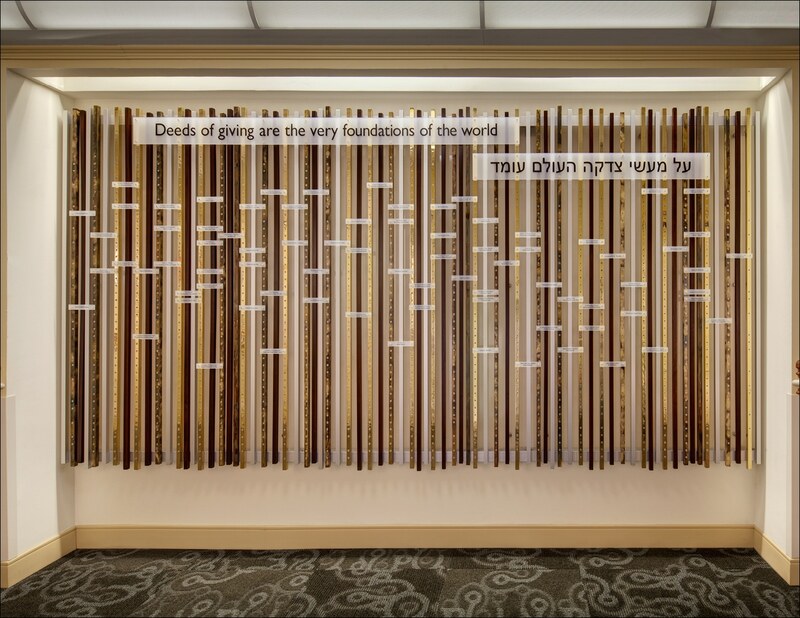 This donor wall is inspired by the tabernacle in the desert. Built from donations from the entire people of Israel, the tabernacle defined and symbolized the community's coherence. This composition weaves together the past (vertical staffs that echo the materials of the tabernacle) and the present (the translucent horizontal donor nameplates). 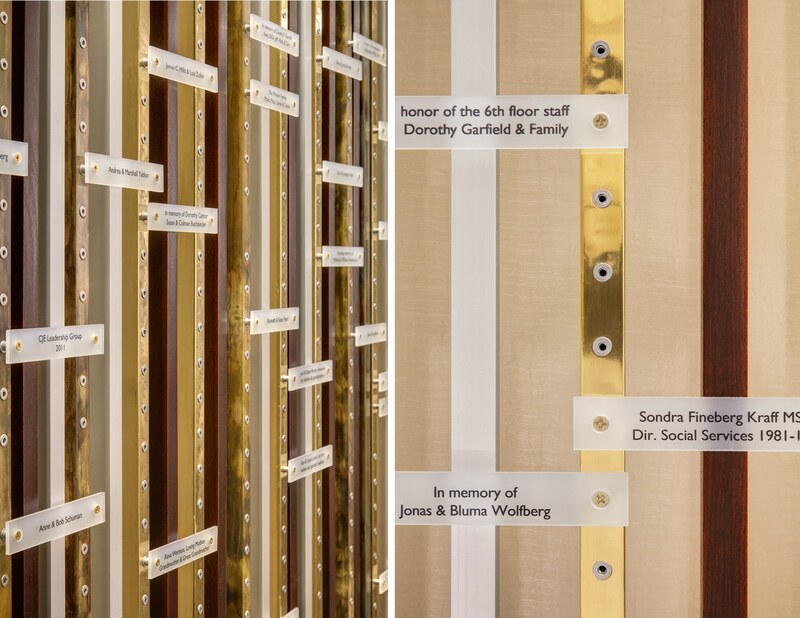 Rather than the typical empty plaques that define most donor boards, here the names are added in a pattern as donations are received, creating an ever-changing composition. The wall will eventually hold 613 names. Photos by Darris Lee Harris.